Some adults have struggled emotionally, socially and vocationally their entire lives. They have always known there was something “not quite right” with themselves – and they may even suspect some form of autism – but they delay in seeking a formal diagnosis for fear that they will be “labeled” (e.g., “If I get labeled as having a ‘disorder', people will discriminate against me and treat me unfairly”). I don’t want to get lumped into a category. I don’t want to be perceived as a ‘flawed’ person. It's not that bad - I can function just fine. I don't have to know if I really have a disorder because it's not going to matter at this point. I didn’t plan this into my life. It can’t be true. It just can’t be. Autism doesn't run in my family, so I can't have it. The stigma needs to go. 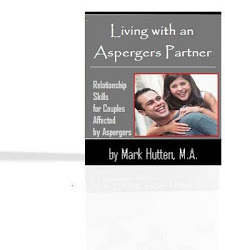 Asperger's is not a appalling, hopeless diagnosis. And the longer you wait to seek and accept the diagnosis, the more precious time you lose. Early Intervention is KEY! If you have Asperger's and don't know, it affects you anyway. If you do know, you can learn to minimize the negative impact and leverage the positive. Without the knowledge that you have Asperger's, you will likely fill that void with other, more damaging explanations as to why you think, feel and behave the way you do. Wouldn't it be good to know why life didn't turn out the way you thought it would? It's not your fault! 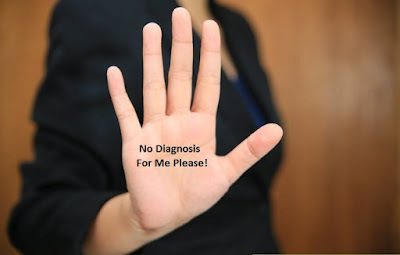 But without a diagnosis, you may be blaming yourself for all the past problematic issues that arose. What are the benefits of getting the proper diagnosis? If you don't get the “label," then you are leaving it up to everyone in the community to give you the label of their choice (e.g., weird, eccentric, rude, self-absorbed, etc.). The sooner you get a proper diagnosis, the less valuable time you lose – time that you can never get back to help yourself. You can’t treat it properly until you know what it is. You may be eligible for appropriate services. Some view the diagnosis of Asperger's as an untreatable, confusing disease caused by a bad childhood or defective genes. We now know that isn’t true at all. This disorder is treatable! Recovery is happening – every day. So, don't despair or live in fear. There is information, support, hope, treatment and recovery. There are already thousands of adults on the autism spectrum who are healing their past wounds and figuring out better ways to cope with life.